A lot can be said for business owners following their instinct and trusting their experience. Instinct and experience can take a person and their business a very long way. There are limitations to simply relying on one’s guts only however. You may run into a person or business with more experience. And no matter how good your instincts are, we all make a bad decision occasionally. We mention this because we speak a lot about developing a winning marketing strategy and goal setting for marketers. 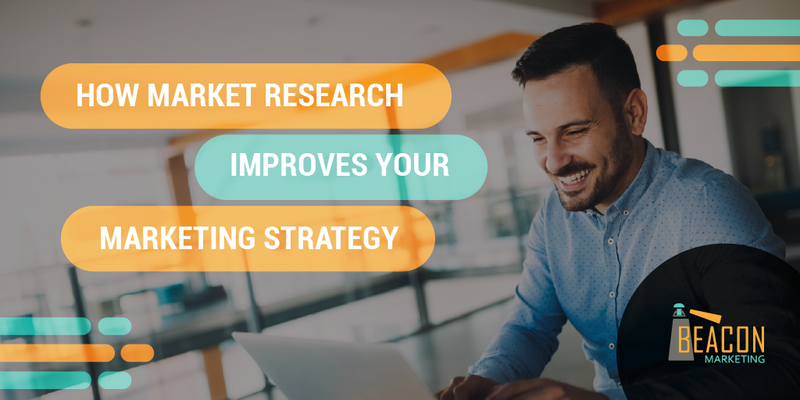 There is something that can help augment your experience, instincts, and marketing strategy to make your marketing efforts truly effective and efficient: market research. Researching your industry and market can either verify your instincts or correct some misconceptions. Either way the end result is well-rounded marketing strategy that incorporates your instinct and experience with some information you can reference if ever needed. Better define your target audience – Understanding who you should be speaking to is an important factor in an efficient marketing strategy. You can waste a lot of time, money, and effort targeting people who are not your ideal customers. Defining your perfect customer will allow you to focus on people most likely to spend money on your services and/or products. Clearer understanding how to package your products/services – Once you know who you should be targeting, you can begin to understand how they want to be served. Do they want delivery? Or do they prefer to come into your place of business? Are they ok with auto-responders or should you invest in more direct customer service? These questions, and others, can only be answered if you ask them. Knowing the answers may turn a one-time customer into a long-term, returning advocate of your business. Know what keywords resonate with your target audience – To gain the attention of your audience and get them to act on your act upon your offer, you must hit upon their pain points. This means understand what troubles your best potential customers and highlighting how you can address their issues. Understand how much your target audience would be will to pay – Settling on a price point for whatever offering can be tricky. Doing a little research can give you an idea of what your competitors are charging for similar services/products and how much your audience is willing to pay. You still want to make sure you charge what is appropriate for you and your business, but a little research can help you narrow your options. Learn what your competitors are doing – When it comes to your competitors and marketing, you really want to have an understand of how they are promoting their business. Look at which marketing channels they are using and the types of content they are publishing. This will give you ideas on how you can engage your audience. Remember how you do business is completely unique from how they do business. You may also come upon an opportunity to target an underserved segment of potential customers. Greater overall confidence in what you are doing – Probably the number one thing you will gain from research is confidence. Getting some facts from research will either support what your intuition is telling you or point you in another direction. You may decide to stick with your original line of thinking, regardless of the facts. In any case research will allow to make decisions with more conviction. Starting your own business takes guts. That is why so many small- and medium sized business owners often “go with their gut” when it comes to making important decisions. There does come a point however when making hard decisions become harder and people need answers faster and faster. Make the decision process a bit easy by doing some research you have a more complete picture of what is going on with your business and your industry. Need help doing some research? Beacon Marketing has developed The Definitive Marketing Strategy Guide to help you develop a customized marketing strategy suited to meet the unique needs of your business. Within the guide you will define your target audience and determine your place in the industry. All important parts of a comprehensive marketing strategy. Click for more info!